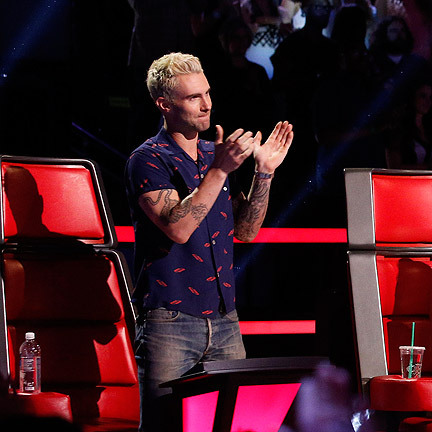 This shirt was worn by singer Adam Levine in season 6, episode 28 (season finale) of The Voice. 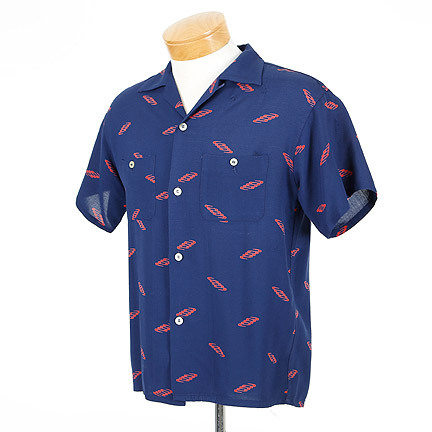 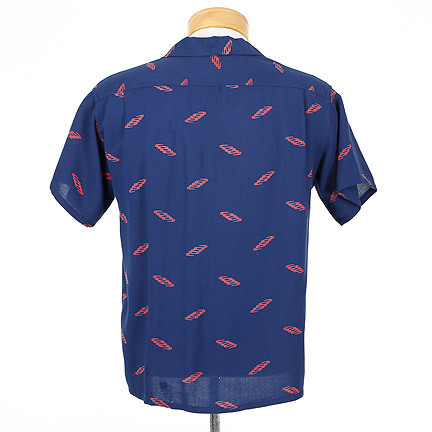 The vintage 1950’s button front shirt is constructed out of a navy blue rayon material with red ink pattern. 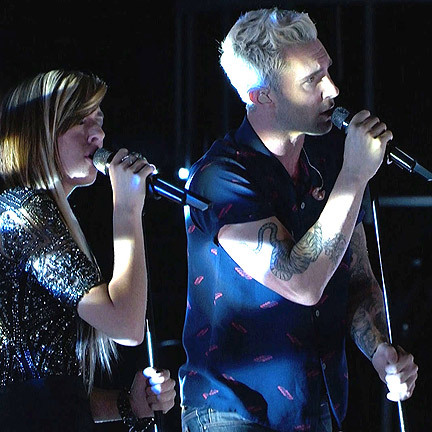 Mr. Levine can be seen wearing this shirt through out the entire episode, including his duet performance with “The Voice” finalist Christine Grimmie. 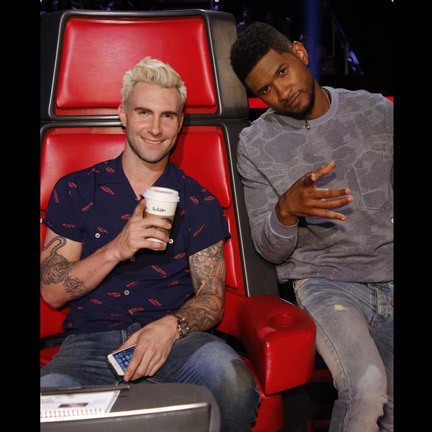 Adam Levine is an American singer-songwriter and musician, widely known as the lead vocalist for LA pop rock band Maroon 5. 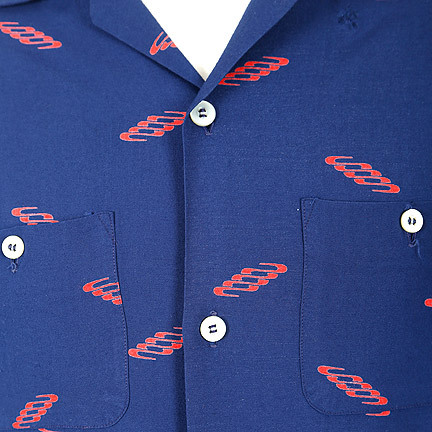 The band has released 4 albums and has received several awards most notably 3 Grammys. 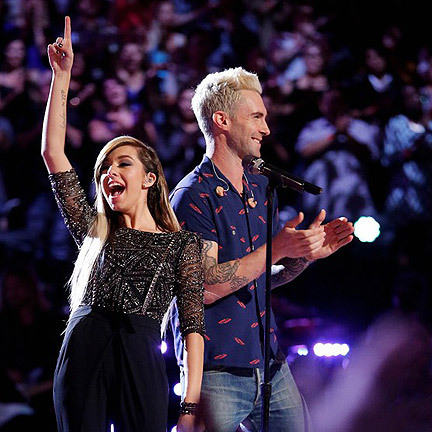 Since 2011, Levine has served as a coach on NBC’s reality talent show The Voice. 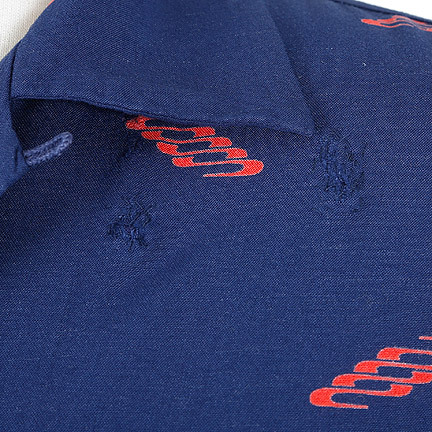 The shirt is in good vintage condition with evidence of wear due to age. 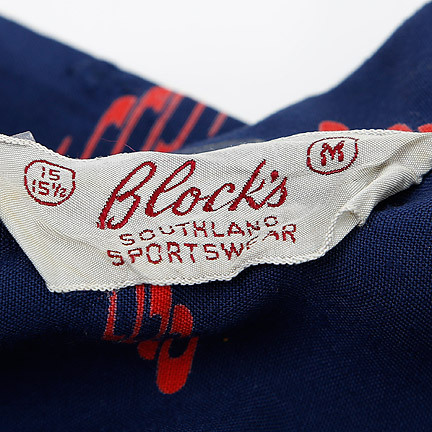 Accompanied by a certificate of authenticity from the costume house. 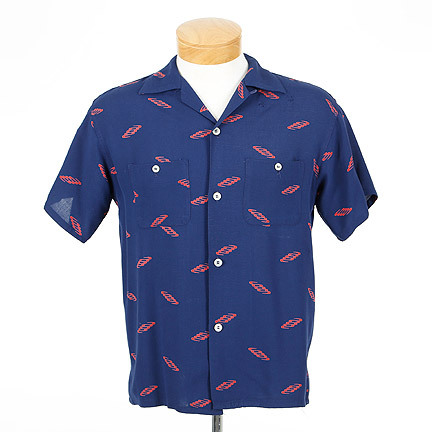 Presented by The Golden Closet, your premier source for iconic screen used wardrobe, props, and music entertainment memorabilia.